REX Homes - Transforming Lives Through The Gift Of A Home by World Housing Inc.
World Housing Inc. hasn't added a story. REX is using their approach to innovation within the real estate industry to build homes for families in need. REX is providing a new approach to the traditional practice of buying and selling residential real estate. Powered by innovative technological solutions that seek to enhance and liberate the process of acquiring residential real estate. REX facilitates a service for both buyers and sellers that saves money and provides an exceptional online real estate experience backed by AI and big data. Providing long term sustainable impact globally. REX sets aside a portion of all income from selling homes to fund homes for families in dire need. It is our mission to contribute one home for every 50 homes we sell. We started in Sihanoukville, Cambodia, where we partnered with World Housing and the Cambodian Children's Fund to help homeless families get back on their feet. And in 2018 we worked with World Housing to fund 3 more homes for families living in Colombia. Partnering with World Housing on an innovative technology to end global homelessness. In 2019, we have moved our fundraising initiatives into an exciting new home building technology that builds homes with a 3D printer that has been developed through World Housing's partnership with New Story Charity. These homes will be a higher quality and more sustainable, and with regular maintenance, will last for generations to come. The goal is to fund 10 homes annually for families in Central America starting in El Salvador. "At REX we are providing homes for families that do not have them, both currently, and with the wealth we create over time. For every 50 homes REX sells, we build one for a family that does not have one. As importantly, REX's employees have pledged to contribute a portion of the wealth they personally receive through their work at REX to provide homes and education for those who need them." LINK HERE TO READ MORE ABOUT THE FAMILIES WE HAVE FUNDED. World Housing Inc. hasn't posted any updates yet. World Housing Inc. is managing the funds for this campaign. 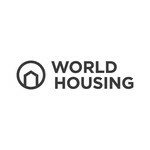 World Housing Inc. is a verified organization. © 2017 World Housing Inc.